QUEENLAND, AUSTRALIA (WTVD) -- This grandmother from Down Under is showing the world that you're never too old to take care of business. 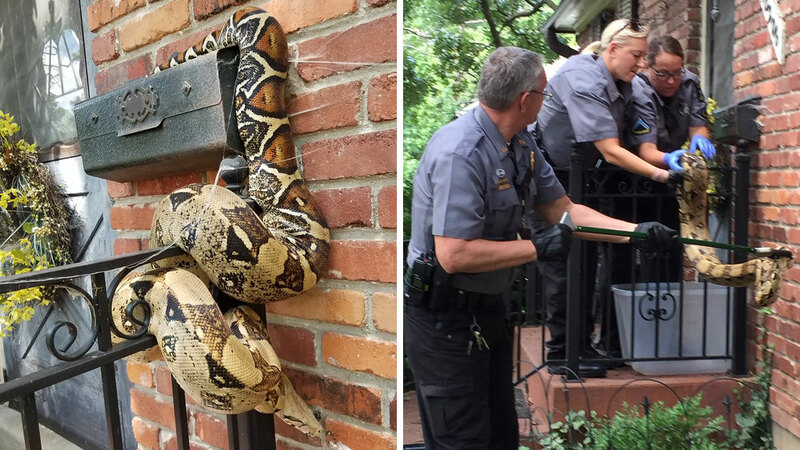 On Sunday, 81-year-old Faye Morgan's family noticed two carpet pythons in their barbecue grill. The gutsy granny didn't waste any time and immediately jumped into action to remove the slithery serpents from their hiding space. In a video, Morgan can be seen calmly grabbing the pythons by their heads and tails and putting them in a plastic bin. "I'm not scared; I love it," she told 7 News Sydney. This wasn't her first time snake rangling. She's done it several times before but encourages others to call a professional. Snow, rain, heat and gloom won't stop the United States Postal Service from delivering mail, but a red-tailed boa constrictor will.